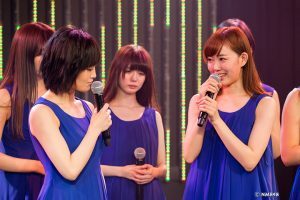 Chinese-made version of AKB? 56 Flowers! Is this the Chinese version of AKB? This idol group is called 56 Flowers, and is even promoted by the government. An idol group of 56 young women just debuted in China: its name is, “56 Rin no Hana,” which literally translates to “56 Circle of Flowers”, although English translations seem to go with just. “56 Flowers”. And the group is gathering attention for possibly antagonizing AKB48. 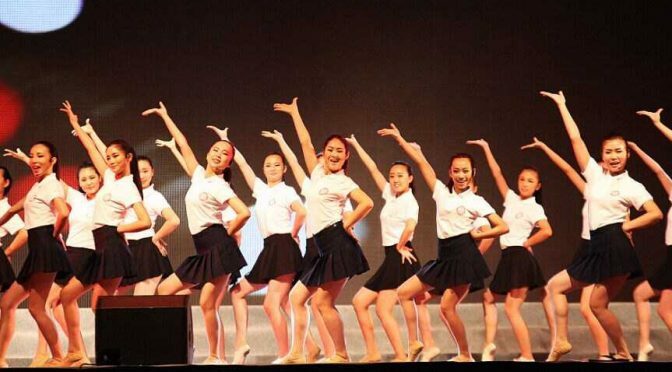 However, the group appears heavily influenced by government propaganda, as they perform enthusiastic songs such as The China Dream is the Most Beautiful, which align with President Xi Jinping’s “Chinese Dream” slogan. The question is: will this take off? The “56” in the title is in reference to the 56 official ethnic groups in China. It looks like the group aims to promote unity and patriotism among the 56 ethnicities. The group’s exact structure and development are unclear, but we wondering just how seriously we should take this. According to the local media, 56 Flowers is comprised of performers who specialize in various ethnic songs and dances and range in age from 16 to 23. There are no mentions of SNH48! Try saying that in front of the girl standing on the front right. Anyway, the date on the picture says 2013/07/31, so I assume the group isn’t new? There are many other interesting photos to disapprove that point as well! Good catch. I actually didn’t notice the date. It might possibly be a group photo before they official debuted, but I honestly can’t say. Most of the English-language sources seem to be dated within the last month. Who knows!